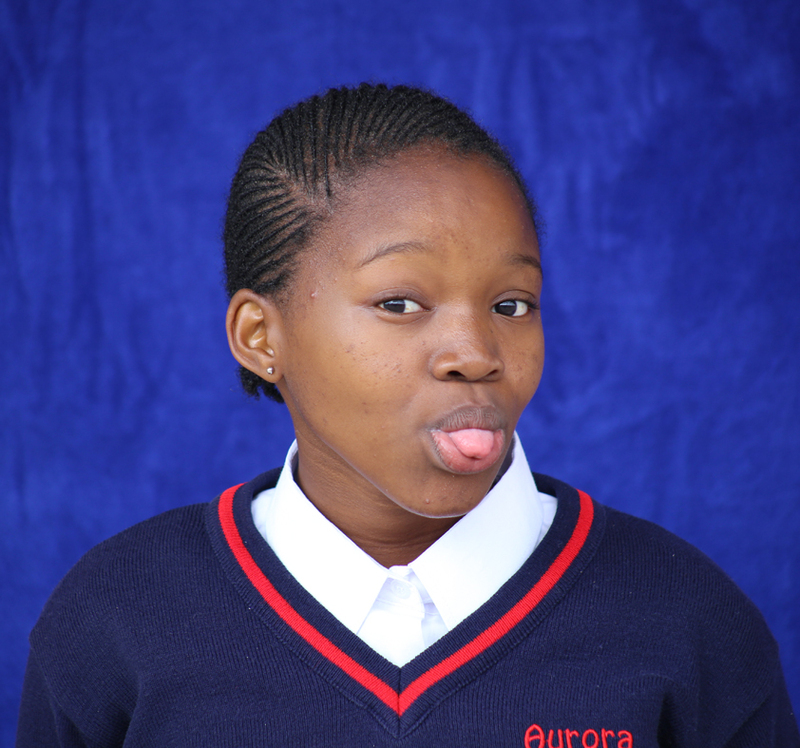 Aurora High School girls are challenging the male dominated industry by taking extra photography lessons. 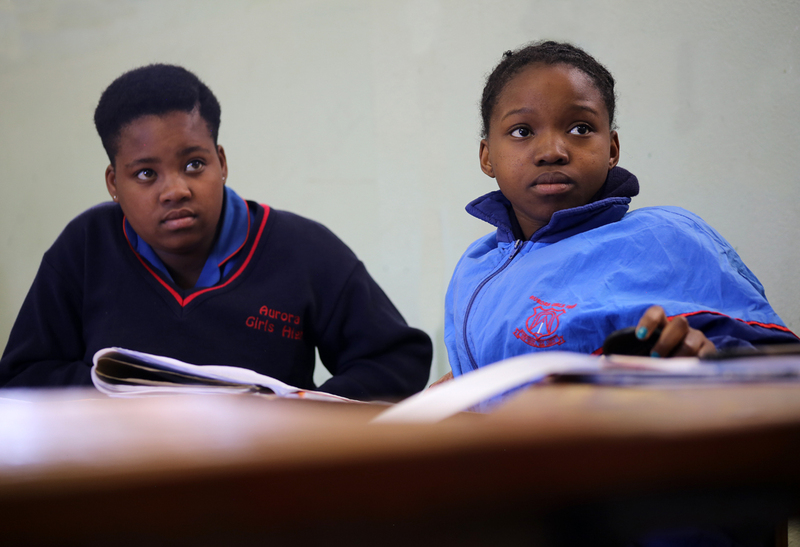 These Grade 10 and 12 learners from impoverished communities want to become photographers so that they can document their own stories. 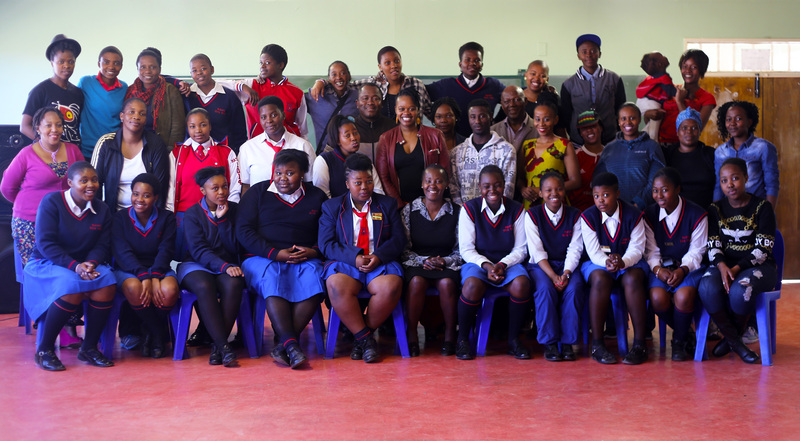 The visual pilot project for high school youth began in February 2014 is made possible by four facilitators: Linda Mankazana, Valerie Thomas, Lindeka Qampi and Zanele Muholi who are all experts in various fields. 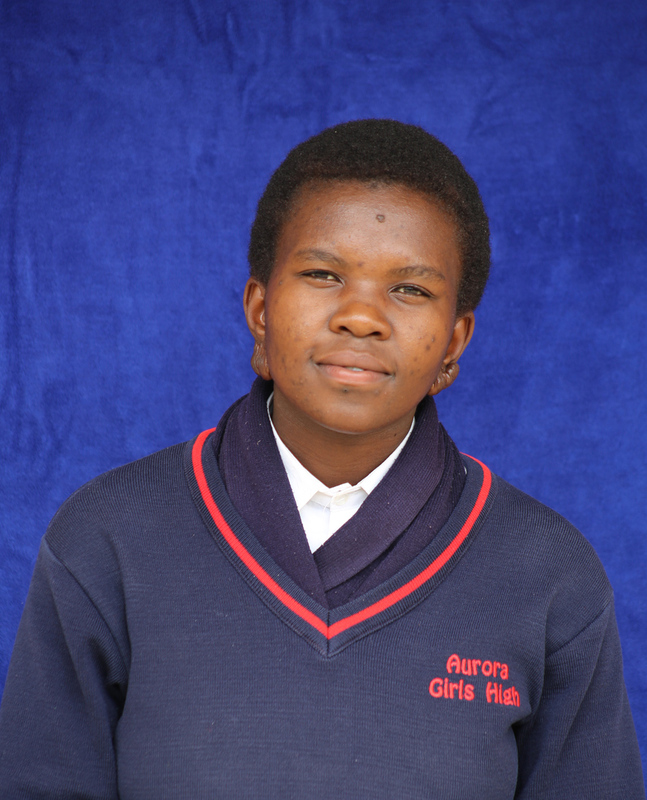 Muholi introduced photography at the school to empower a girl child. 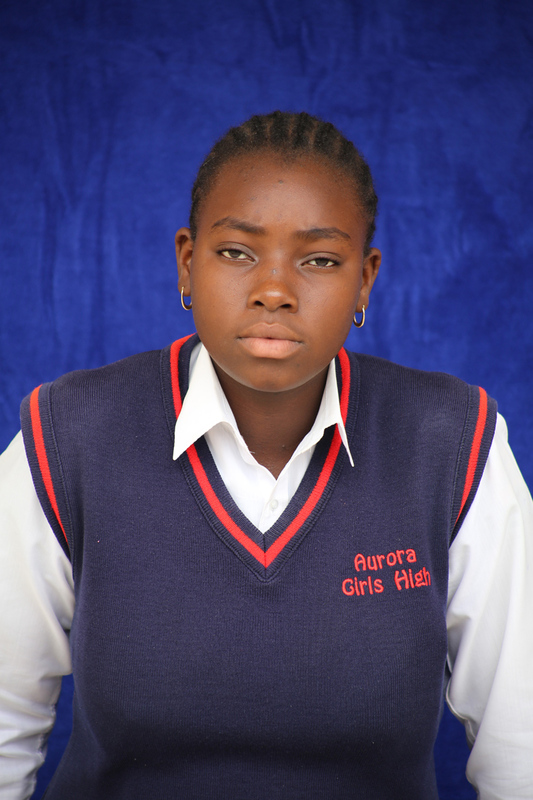 They said it is important for a girl child to have access to photography to pave a way for other girls. It started in February 2014. I stay in Zola and I’m doing Grade 9. I didn’t know anything about photography before Zanele and Lindeka came to introduce it here at my school. I always see men as photographers not women and I thought it’s for them only. I never even thought of doing it or at least holding a camera with my hands. I didn’t know that girls can become photographers. My first time holding a camera was here at school with Lindeka and I was excited and shaking. It was such a nerve wrecking experience to hold it but I did manage. I was holding it in a wrong way and I didn’t know what to do. My first photo was about goats, water, a dumping site too. It was not good but Lindeka helped me to make it right. I would like to continue with photography, I want to shoot soccer games, fashion and orphans. I want to tell my my people about what’s happening in their community. I don’t have a mother only my dad sometimes it’s difficult not to have a mother. I want to tell orphans’ stories because I know how is like not to have parents. Lindeka is like my mom, she motivates me a lot. When you want to give up she tells you not to. She’s so inspirational. She has inspired me a lot. It would be bad if she can left us and returned to Cape Town. I’m a Grade 10 learner and I stay in Dobsonville. 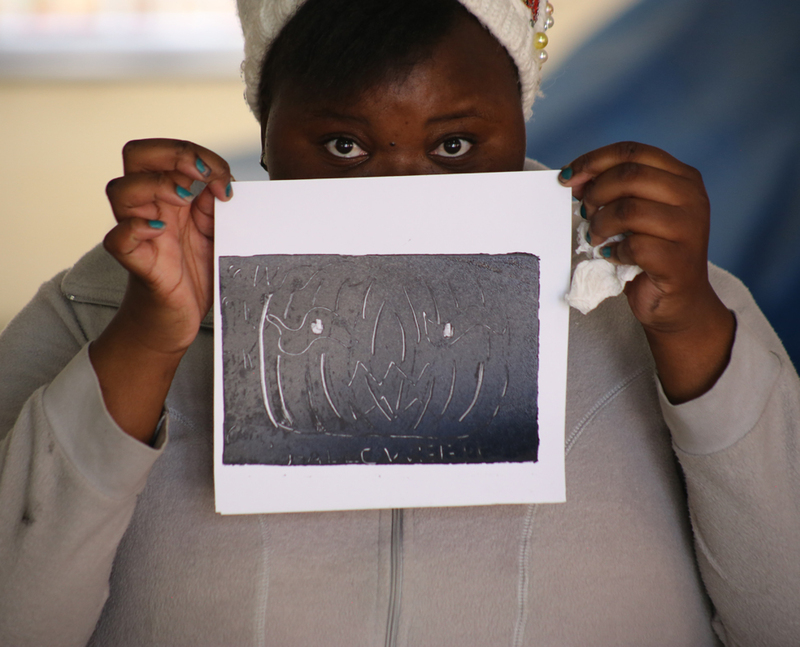 Linda Mankazana, one of my teachers, told us that Zanele and Lindeka would come and do photography with us. I didn’t know anything about photography and didn’t even care about it. All I wanted to do was to become a fashion designer because I love fashion. When I see TV personalities I always get fascinated by their clothes, they always wear nice clothes. I was so nervous the first time I held a camera. I held it right but I pressed the wrong button. I took my very first picture of my cousin’s clothes and I was excited about it. My challenges are different angles, focus and framing but I’m getting there. I am confident about my camera skills now I can even shoot the Minister of Education. I’m from Braamfischer and I do Business Management and Tourism here at school. I like traveling it keeps one active and it’s important to me. In my life I’ve never touched a camera it was my first time touching it here school with Lindeka. Again I never thought of myself becoming a photographer. I took my first photo of … I made some mistakes. It was blurry and I cut others. It was hard to focus and for the second time it was better. Holding it was not a problem because I took a cue from others then I held it in a right way. Lindeka told me of my mistakes and afterwards I felt happy and confident. I would want to own a camera one day so that I can always shoot everywhere I go. Lindeka has taught me a lot, she’s patient, she takes us out to shoot things that we never thought of shooting. She let us know our communities and stories within it. People and my friends from my community never thought that a girl can take photos. I can combine my photography and tourism because I see that there is a link between the two professions. Tourism is about traveling and when I travel I see places. I now see photography as very important in my studies. I got exposed to camera from a young age because my uncle is a photographer and he has a camera. I used to take care of his camera at home. I never touched his equipment though because he was very sensitive about it. I didn’t know about photography. I didn’t know about a camera too until Lindeka came to school and taught us about it. She taught us how to shoot, frame a picture, position focus and the importance of taking a photo and how to get a good picture. At first it was a bit complicated but I manage to do it. One other day we went to shoot outside of the school yard and Lindeka saw grannies playing soccer, she asked us to take a picture. It was interesting photographs because it is rare to find grannies playing football in our townships. I am from Zone 2 Zondi and I live with my parents. I never had an interest in photography I thought it was for only boys. I never saw a black woman holding a camera or taking pictures. I once saw a white woman taking photographs and I thought it’s for only them until Zanele and Lindeka came to us. Zanele taught me how to shoot and take videos. For my first picture I took cows and we’re out in the community shooting with Lindeka. I was shaking and nervous at first. She said it was a nice picture though I didn’t feel happy about it because my zooming and focus were wrong. I didn’t specifically use focus and it was out of focus. On my very first picture I was nervous because I never hold a camera till that day. I want to continue with photography to show the people that I can do it. I also I like drama, telling stories thus I want o continue with it. I’m so fortunate about this opportunity because I’m the only one at home in my community too. Others didn’t have it and the person to guide them too I understand. I would like to own a camera one day so that I can continue shooting. I would be happy if my parents can buy me one I can shoot everyday. I sometimes tell them about this photography I’m doing here at school. Lindeka is a very good person, I learnt a lot from her. Now I can even say I’m a professional photographer. I’m a Grade 9 learner and I come from Zolani North. I like taking pictures. When I was in Grade 7 my parents bought me a phone and I was taking pictures of myself, events and my friends. I never thought of myself being a photographer or photography can be studied. At that time I was just taking photos because I was just enjoying it but my friends were so impressed about my photos. 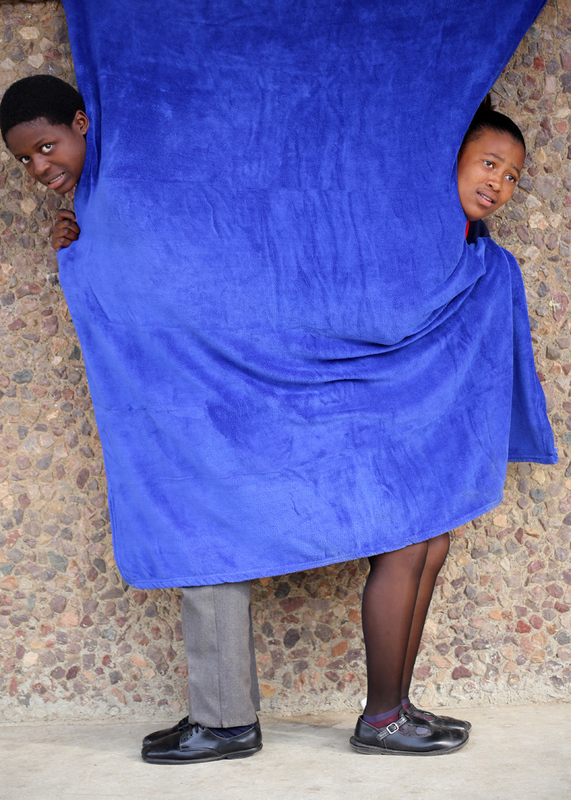 The day Lindeka and Zanele came to school my mind changed and I learnt more about photography. I always wanted to be a journalist I didn’t think that journalism and photography are intertwined until they told us about it. I didn’t know what to press and I was scared. I knew nothing about focus. A camera is completely different from a phone camera because one just press but with photography there’s focus, zooming and angles. My first photo was a portrait, it was wrong and blurry. I was very scared, confused and it was very difficult on my first time. I thought it would fell because it was heavy. I pressed the wrong button also I hold it in a wrong way but Lindeka was patient to teach me about it. She then told me what I must do and the way I should do it. I can take a photo now I can just take a camera and shoot. I feel confident, happy and proud of myself. As a result I want to continue with photography alone. I never thought girls can become photographers or either can take photos. I wish I can have my own camera and take photos anytime. Lindeka can show you what’s wrong and she teaches us well. I live in Zola North with my parents and my sibling. I want to become a civil engineer. I haven’t thought of me being a camera person or holding it or for instance stand behind a camera. It was my first time to hear about photography when Lindeka explained and taught me. I became more interested in it afterwards. My first shot was kids playing in a dam. It was hard at first but I took it. Prior to that I thought photography was only for men. Though I have started late but I’ve managed to catch up. I was not present when Lindeka and Zanele came to do an introduction session. I learnt that in photography you don’t just take a lot pictures but must be able to talk about them too. I am grateful that I’ve started it at an early age and I wish other girls could have this great opportunity too. I’m proud of Lindeka, I give her honour. She taught me how to hold a camera, she taught me the right things. God has sent her to teach me. She takes a lot of time. When she explains something she does it thoroughly. She’s got a good heart with kids. I’m now confident about a camera because of her. I want to continue with it and combine with civil engineering. I don’t feel good about the fact that girls don’t know anything about photography and it’s a very big challenge. I would want to teach girls as well kind of giving them some skills. I would want girls to start photography at my age. I live with my parents in Zola 3 and at home I’m the only one who got the opportunity. My parents too never got the opportunity. I’m happy to start photography at the early age and young. I feel so special and good about myself for taking pictures. My mother supports me a lot. The first time I was shaking, a camera was heavy. I took a picture of a gay man who was raped twice, I didn’t believe myself. Lindeka said it’s a good picture. I want to document people everywhere because photography is about traveling. I have taken many photos and I would want to continue with photography. I see myself as a professional artist. I haven’t seen a woman photographer until I research Zanele Muholi’s name on the internet. I felt so special when I saw her work. Photography is all about men taking pictures and women are not there. There’s a lot of gender stereotyping in photography. The reason why I do photography I want people to see it not for only men but for everyone. It’s important for girls to do photography so that they can document their stories. My friends ask me all the time about photography. They always ask me ‘how did you get it’. They also want to do it. Before I thought you can only do photography at tertiary. I feel grateful about Lindeka. She’s patient, she can deal with us. I would feel so unhappy if she could leave us and go to Cape Town. She’s always with us she tells us to feel a camera, think about your picture no one should think for you. I live in Mapetla, Soweto with my parents. I learn a lot from photography I found family and friends. I’m much more close to Lindeka. I didn’t know how to take a picture before Lindeka and Zanele came to our school. It was interesting. I never thought of photography until Lindeka did her presentation. Lindeka gave us photography basics she told us about a view finder, hold your camera , put a camera around your neck and arm. She also told us about different angles and sides as well. It made a lot of confusion when I heard about them for the first time. I want to study Journalism and I only thought about it not photography. 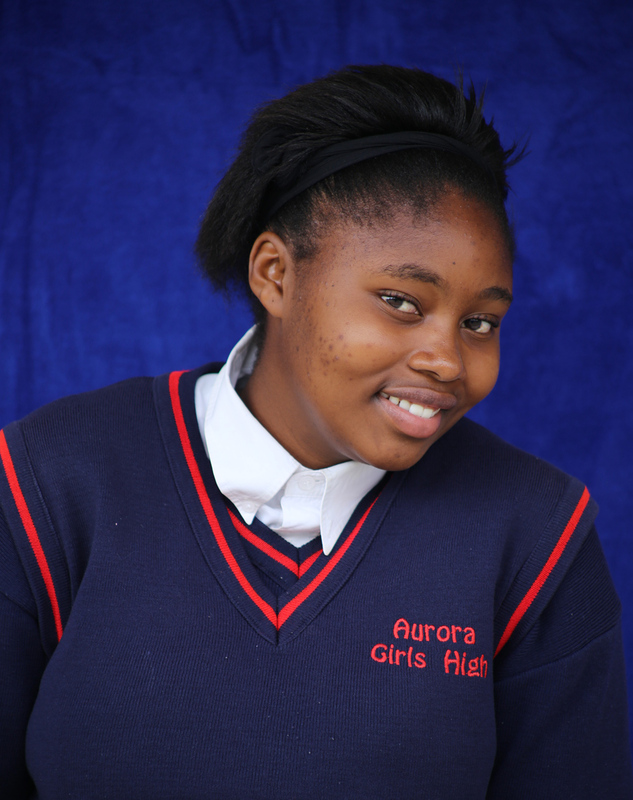 When Zanele started the training with us I then thought of combining journalism and photography. I never thought journalism also needs photography. My interest is to document women’s stories, our own history, linking apartheid with what’s happening in people’s lives. People need to understand that black people are still poor. Lindeka asked us to take pictures of each other and it was great to see that person’s reflection. I felt proud and I asked myself whether I was able to do it. That process was revealing new Thando in me. My uncle is a photographer he just takes them to make ends meet. He never inspired me. I wanted to get an inspiration. I would be happy if I can have a camera to see myself as a photographer. When I researched Zanele on the internet, I was like ‘damn this woman’. I got inspired by Lindeka. Now I am confident because of her. She really played a role in me. She is my mom, she’s very supportive, cares a lot, she’s got a big heart. She tolerates and patient with us. I live in Mndeni South with my parents. Ma’am Linda Mankazana told us that there would be people doing photography at our school and I became very interested. I used to take pictures with my phone and I used to take different places and environment. I decided to do photography because I like Media Studies and I can be behind the scenes. Before Lindeka and Zanele came to school to tell us about photography I didn’t know anything about it. I didn’t know what to do on my first time taking a picture but Lindeka told me to focus all the time. I shot a bus, a dirty place, goats and a cemetery. I was not sure of myself but Lindeka helped me. She said using focus all the time is very important for your picture. My mother was not happy about it when I told her that I’m doing photography at school. She thought it will make me tired and distract me from my books. When ma’am Linda Mankazana came home and explained to her then she became soft. I also make sure I do everything in the house so that she can allow me to go and practice photography. It was my first time to see a woman photographer. There are mostly men in photography and I believe as women we’re capable of doing everything, there’s no women’s or men’s work. I am happy about photography also I learnt that a person is capable of doing anything you wish to do. I am confident about myself. Lindeka is a very patient person. Our teachers get tired of us. She makes sure that you understand, she repeats it all the time. It’s really a good opportunity for me. My friends from my community are surprise that I’m doing photography. It’s not something common in our communities to see a woman holding a camera. I come from Jabulani, Soweto. I live with my brothers. My mom passed away in 2005, I was still young at that time. The first time I shot a portrait, it was easy but shocking. It’s interesting to do photography it has made me to understand things, see new things everyday, understand it as a career. I think about it all the time and I even told my brothers at home they are very supportive. You can wake me up at 2am telling me to shoot, I will just slowly open my eyes then I will take the camera go and shoot. I love shooting nature because it has four different seasons and in them you see different things. I feel very fortunate about this opportunity as a young woman from Soweto it has really changed me. I used to have bad friends but through photography I’ve managed to leave them and focus on me. My brother has promised me to buy a camera and I’m happy. I will shoot everyday. Lindeka is a mother to me. She understands us and she explains things thoroughly. I don’t want her to go I know her kids are in Cape Town. I would like photography to be introduced as a subject in schools so that girls can have an opportunity to know about it. In my community some girls do ask me about photography and they want to be involved too. 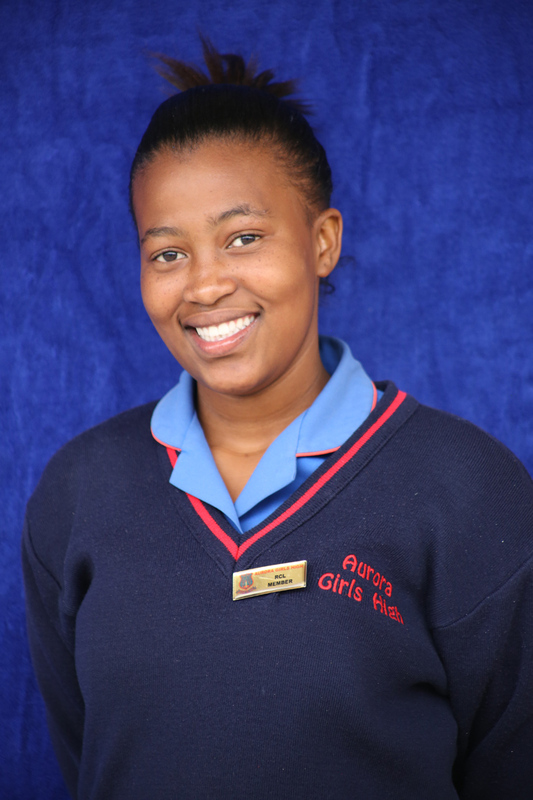 Teacher Mankazana is my mom. I can say she’s my second mom because my mom died in 2006. She gives me love that I don’t get. She does things for me and she doesn’t get tired. I live with my mom and my siblings in Dobsonville. I knew a bit about photography through my neighbour who is a photographer. We used to chill out and talk about it. He used to tell me that photography is about colour, capturing memories, people and things around you, also you going out. There’s nothing wrong with my first picture because I’m a perfect and extra ordinary and I like extra ordinary things as well. I had to find a perfect position, focus because without focus there’s no picture. 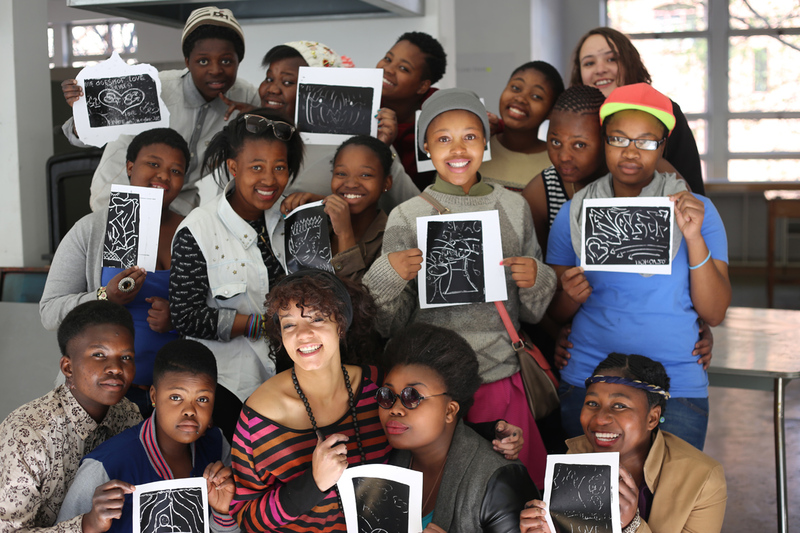 Zanele and Lindeka came to introduce photography at my school to empower us girls. It’s a great opportunity for us here. I would like other girls to grab these kinds of opportunities. I’m a painter and drawer and I’ve found a third love in photography and I consider myself as an artist. Lindeka is my mother to me and she’s good in what she’s doing. My dream would to collaborate wither at some point. 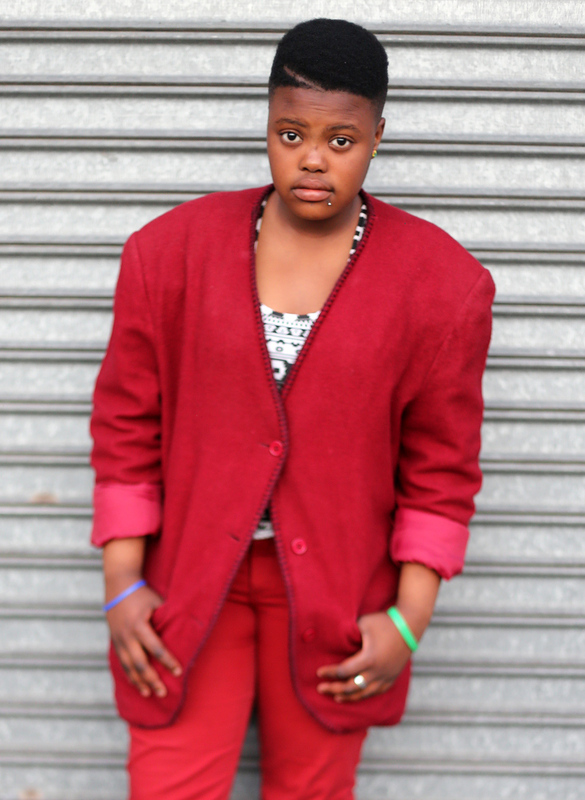 Zanele has got fortitude; she bears whatever comes on her way. I would like to own a camera but I know my mom won’t afford it. This entry was posted in About PhotoXP, Acting, Activists, Activists Act, Allies, Alternative family, Another Approach Is Possible, Archived memories, Arguments, Art Activism, Art Activism in South Africa, Art Edutainment, Art for Humanity, Art Is A Human Right, Art is Queer, Articulation, Artist Talk, Artists, Arts, Arts & Sports, As we are, Attention, Aurora Girls High School, Beautiful people, Before US, Before You, Begging, Being Scene, Black, Black Bodies of Silence, Black Lesbian professionals, Black Queer Born Frees in SA townships, Bonding, Bringing photography to schools, Cameras, Captioned, Captured, Career, Caring for our female youth, Celebrating Women, Celebrating Youth Month in SA, Celebration, Characters, Choice, Experience, Photography, Relationships, South African struggle, South African townships, South African Visible Arts, South African Visual Activism, South African Youth, Special event, Struggling activist, Students, Supporting each other, Supportive friends and families, tackling racism through art, Teacher, Teaching young women photography, Testimonies from Aurora photographers, textbooks, Textualizing Our Own Lives, The Chroniclers, together, Together we can, Togetherness, Townships, Translation, Unemployment, Video archive, Videography, Visibility, Vision, Visual activism, Visual activism is a language, Visual Activist, Visual Activist in the classroom, Visual Arts, Visual democracy, Visual history, Visual history is a Right not a luxury, Visual Language, Visual narratives, Visual Power, Visual sense, Visual Voices, We Are You, We Care, We love photographs, We Love Photography, We Still Can with/out Resources, We were (t)here, Well organized event, When Love is a Human Right, Wishing you well, Woman, Womanhood, Women loving women, Women's power, Women's struggles, Women's Work, Women; Voices; Writings; Education; Traditions; Struggles; Cultures, Womenonwomen, Words, Writing is a Right, Young black female photographers, Young Black Women and Photography, Young female photographers from Aurora, young women, Young Women and Visual Activism, Youth, Youth voices. Bookmark the permalink.